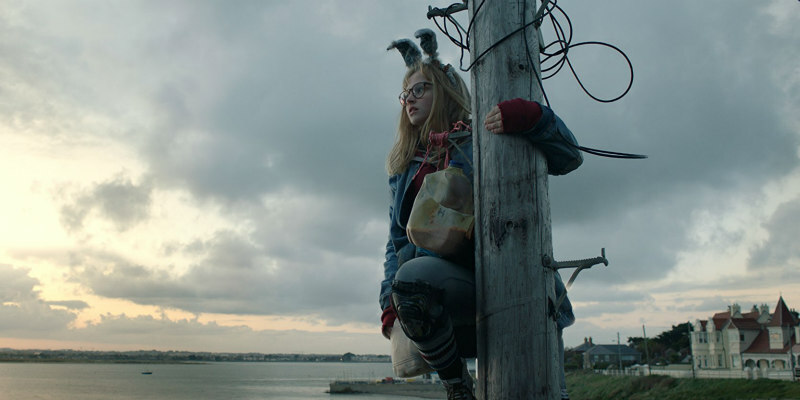 To celebrate the DVD release of I Kill Giants on 2nd July, we spoke to the film’s Academy Award-winning director about five of his biggest movie inspirations and the power of film to transport us back to childhood. The first film that really made a huge impression on me was Sergio Leone’s Once Upon a Time in America - the Gangster epic with Robert De Niro and James Woods. I think I got to see it on the TV when I was around nine or 10. I remember that being the first film that really made me feel that movies could transport you into a different world. Part of it was the beautiful score from Ennio Morricone. I think it's one of the best film scores of all time. His films were a huge influence on me. Not so much because I wanted to direct, but because when I was 10 my big dream was to do graphic novels, to come up with the next big comic book concept. But of course, as a cartoonist I was very inspired by filmmakers and visual storytelling in general. So that film has a very specific place in my heart. Another film from that time, a totally different film, was Léon: The Professional, by Luc Besson. That was also a time when films stayed in the theatres for almost six months. That doesn’t happen anymore. So, I went back to see that film over and over. Again the film has a certain cartoonish element to it. It’s a little bit exaggerated in its characters and the whole set up. But it appealed very strongly to me, especially the relationship between Matilda, the young girl played by Natalie Portman, and Jean Reno’s character, the hit-man. I thought that was a very special bond. They are a really magical film pair. Later, the film became a kind of inspiration for I Kill Giants in the sense that when we were just about to shoot I was going through the films where you had a 13-year-old girl in the lead. The character of Matilda in Léon was definitely inspiring in the way that she is very sassy and provocative. She has a certain way of dealing with the world that inspired how I wanted to do Barbara in I Kill Giants. So, I actually went back and saw Léon a couple of times before we went to shoot. Another favourite of mine and also another kind of inspiration for how to deal with a young girl like Barbara is Paper Moon, the black and white Peter Bogdanovich film from the 1970s. Again, I love when you have these young characters who hold the world out at arm’s length and have this provocative, sassy nature. She (Tatum O’Neal) also won an Oscar I think. She’s probably the youngest woman to win an Oscar for a lead role. Anyway, I got to see that film a couple of times. I thought that was inspiring in how far you can go and how provocative you can make these girls, without losing the audience. There is a balance of course - you don’t want to make them so provocative that it is too difficult for the audience to like them… you want to make them charming at the same time. I tend to think that the films that really stand out and become your favourite films are the ones you see when you’re a certain age. I think any favourite film of mine… they all go back to when I was a teenager, or maybe even a kid; those are the ones that stay with you for the longest time. Every year I maybe see 10 fantastic movies, but they don’t stay with me the same as when I was young. They might become classics in their own way. But people’s favourite films, I think, always have to do with when you are most open to the world in general. And obviously that is when you are young. Another one that made a huge impression on me was, of course, Steven Spielberg’s E.T. It was one of the first films where I felt that the power of movies could affect your own life, or how strongly and how badly you wanted to be that character in the film. And that strong relationship you had with Elliot in E.T., I thought was incredible. Even seeing this film now I’ve become older, it has a huge impression on me and I can’t figure out if it’s because it’s a good film or just because it has a special place in my heart from when I was young. I think it’s obviously both but it does really still hold up today. I think Spielberg, especially from his earlier works, is an inspiration as to how you can do films with children and still make them relatable and meaningful to a grown-up audience. That of course was another great inspiration for how we wanted to do I Kill Giants because it has a 13-year-old girl in the lead. You could argue that this film is for young adults and kids but for me this film is about emotional impact and I think that’s what Spielberg does so well. The emotional impact comes with such force that it is relevant to a grown-up audience too. But Drive really spoke to me in a very special way; something I didn’t really expect. It’s difficult to point to exactly what it is in Drive that is so appealing. You could argue that it feels like a long music video. The music is fantastic. And the tone is spot on. Another favourite film of mine is Blade Runner. Not so much because of the story, which has become irrelevant to me over the years. When I go back to revisit a film it’s because I want to revisit a certain atmosphere and a certain tonality. And I want to be a part of that for a couple of hours. I have that same feeling when it comes to Drive. I don’t really give a flying, you know, ‘beep’ about the story! Some of these masterpieces, are masterpieces because they somehow create that incredible, inexplicable atmosphere and tone. Drive is definitely a film that lives on atmosphere and tone. And in that regard, it is very inspiring that you can actually do a film that will make such an ever-lasting impression just with tone and atmosphere. Kaleidoscope Home Entertainment releases I Kill Giants on DVD 2nd July.